Nagpur: A villager, on behalf of 56 families from the little-known Awarmara village in Kuhi tehsil of Nagpur district, has knocked the judiciary’s doors for immediate rehabilitation of the entire village as it is facing the serious threat of submergence due to rising waters of the Gosikhurd dam project. A division bench comprising justices Bhushan Dharmadhikari and Arun Upadhye issued notices to the Union ministry of water resources and river development and State Water Resources Department (WRD) asking them to reply by June 13. Nagpur collector and executive engineer of Gosikhurd project are other respondents in the PIL filed by Kawadu Wanjari, a farmer, through counsel Prakash Randive. The remote village is surrounded by water bodies from three sides — Kanhan river is in the east and north while a big canal flows on the southern side. Over a thousand inhabitants faced the threat of submergence in case any wall of the dam breaks or during heavy rains. The children need to travel over 40 kms to Navegaon to attend school and it is the same for villagers wanting medical help. A majority of farmers travel on boats to go to their farms and they find it difficult to carry equipment, fertilizers and other heavy machinery every day. They also faced several health problems due to stagnant dam water which has become a breeding ground for mosquitoes. The polluted water has also percolated into septic tanks and, worsened the sanitation condition and made the toilets non-usable. To add to the woes, even the well from where they used to fetch drinking after, has become contaminated due to the dam water and its level has also increased. After villagers complained, Kuhi tehsildar and the Umred sub-divisional officer (SDO) visited the village on June 2, 2016. Both officials concluded in their report that the dam walls would pose danger to the village in case of a breakdown. Also, on account of heavy rainfall the rise in water levels can cost severe losses to economy and lives of the inhabitants. The residents took up the issue with guardian minister Chandrashekhar Bawankule and also approached chief minister Devendra Fadnavis. However, after failing to get any response from either they approached the HC. As of date, 99 villages affected by the Gosikhurd dam have been rehabilitated and provided with civic amenities as per Section 10 of the Maharashtra Project Affected Persons Rehabilitation Act, 1999, they contended. The aggrieved petitioners prayed for immediate steps to rehabilitate the whole village to a convenient place and provide all basic civic amenities. They demanded directives to the respondents to enquire about losses caused to them regarding their properties and agriculture fields and provide them with adequate compensation. They also want a district level committee to be set up that would include health experts who would take cognisance of all the geographical and health problems they were facing. Nagpur: With BJP government at the Centre planning to issue final notification exempting building and construction projects up to 50,000 sqmtrs from environment clearance (EC) requirement, NGOs have opposed the move. They have moved the Union Ministry of Environment, Forest and Climate Change (MoEFCC) saying it will benefit builders under the garb of providing housing to urban poor. MoEFCC issued a draft notification on March 13, 2018, to ease norms for building and construction projects. The ministry sought comments from people in 60 days before issuing final rules. The notification proposes to amend the EIA Notification, 2006, by increasing the exemption threshold from 20,000 sqmtrs (2.15 lakh sqft) to 50,000 sqmtrs (5.38 lakh sqft), which means projects less than that will not require any prior EC. MoEFCC had sought comments from people and NGOs before making it final. The last date to submit comments is May 12. EIA Resource & Response Centre (ERC), a body analyzing impact of development activities on environment, in its submission demanded that the notification be withdrawn. “The new norm will pave way for big projects of builders.. under the garb of providing housing to urban poor by 2022 as proposed by the government,” said Pushp Jain, chief analyst of ERC. He added it was beyond the scope of parent legislation and violated several judicial orders. “Repeated attempts were made by real estate lobby to take building and construction activity out of purview of EC process,” he said. Once final, such projects will have to comply with prescribed environmental conditions through a ‘self declaration form’ while applying for building and construction permission from local authority. Jain said according to ministry of urban development (MoUD) specification size of a dwelling unit for urban poor is 27-30 sqmtrs. The built-up area of less than 20,000 sqmt was already out of the purview of the EIA Notification and therefore an approximate number of 700 dwelling units could have been made within the limit of 20,000 sqmt itself at a particular site. “Therefore, increasing exemption limit to 50,000 sqmtrs for providing housing to urban poor was not needed,” Jain said. ERC also questioned how removal of EC will improve environment through greater objectivity and transparency, as mentioned in the draft. “There are about two dozen other statutory approvals required from various state and central agencies for commencement of construction. Why is there problem with EC alone,” asks Jain. Analyst Kankana Das of Legal Initiative for Forest & Environment (LIFE), Delhi, says local authorities have been asked to monitor compliance of environmental conditions but local bodies do not have the expertise. “This draft, if implemented, will only benefit the builders, as they will get unrestricted leverage to capture land and water bodies to convert them into concrete buildings,” Das submitted. Further, she said, violations by any proponent which were earlier punishable under the Environment (Protection) Act, 1986, will not remain effective any more, if the draft was notified. Das said it was clear that local authorities or urban local bodies (ULBs) were governed by specific statutes. The draft notification is silent on issue of “control and supervision” of the ministry over ULBs. Jain submitted that National Green Tribunal (NGT), Delhi, on December 8, 2017, had ruled that the laudable objective of “housing for all” should not be used to perpetuate commercial profitability and business concerns. “The present draft seeks to achieve the same purpose to perpetuate all commercial projects,” he said. 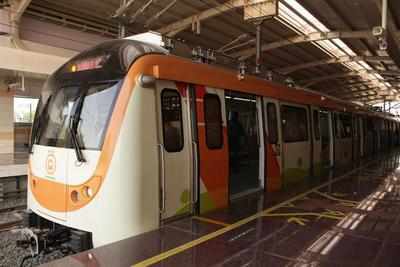 Nagpur: MahaMetro may be sticking to its schedule, but other agencies associated with it are not. Its consultant RITES, which is preparing the detailed project report (DPR) for phase II of Nagpur Metro, has told MahaMetro that the report will be ready by June-end. The report was supposed to be ready by April-end. A source in MahaMetro said RITES would submit the draft this month. “We will suggest some modifications, if any, and then our consultant will submit the final report in June end,” he added. MahaMetro will send the DPR to state urban development ministry for approval. The ministry will go through it and send it to the state cabinet. After the cabinet approves it, the report will be forwarded to Niti Ayog. After Ayog members are satisfied with the report, it will be sent to the Union cabinet. Phase II will be considered approved only after the Union cabinet clears it. It is imperative that the DPR is put up before the Union cabinet before 2019 Lok Sabha elections. Phase II stands a good chance of getting cleared as long as Union transport minister Nitin Gadkari is a part of the central government. If BJP does not come to power in 2019, then Gadkari or his successor will find it difficult to get special status for Nagpur. The second phase will cover a stretch of 48 kilometres, which will cost Rs10,860 crore at today’s prices. It will have five routes, with a total of 34 stations. Most of it will be elevated. The first corridor will be from Automotive Square to Kanhan. It will be 13km stretch with 13 stations. The corridor will cater to Khasara village, Lekha Nagar (Kamptee), Kamptee Town and Dragon Palace Temple. The second corridor will connect Khapri to Butibori MIDC. It will be 19km long and will have 9 stations. The catchment area is Jamtha, Dongargaon, Mohgaon, Butibori village, MHADA Colony and Indorama Colony. The third one is extension of route from Lokmanya Nagar to Hingna Tehsil Office. It is 6km long with six stations and will pass through Nildoh, Gajanan Nagar, Rajiv Nagar, Lakshmi Nagar, Raipur and Hingna village. The fourth is extension from Prajapati Nagar to Transport Nagar. It is 4km long and has 4 stations. The fifth is a spur from Vasudeo Nagar to Dattawadi. It will be about 5km long with two stations. Its catchment area is Raisoni College, Hingna MIDC, and Dattawadi. Yavatmal: District guardian minister Madan Yerawar admitted in an emergency meeting that regular water supply would not be possible in Yavatmal till July end, urging officials to plan accordingly to combat the prevailing drinking water shortage. A meeting was held in the district collector’s office on Sunday and was chaired by Yerawar himself. Some important decisions taken in the meeting include keeping water filling point in MIDC-based water treatment plant open for 24 hours for tankers to fill water, a time table be prepared for tankers to fill water from the point, appointment of plumbers and deputing cops to monitor tankers, chief officer should immediately demand additional tankers from district collector, start a helpline at the MC office and revive the defunct helpline of district collectorate, publish tanker numbers and mobile phone numbers of the tanker drivers and the wards allotted to them, prepare a roster for the tankers and set up a special squad to oversee regular water supply by the tankers, water supply to slum areas. The minister has promised to address any difficulty that may arise in the coming days. He has warned the tanker drivers of action if they are found in any ward other than the allotted ones. He has also instructed the SDO to call meeting of concerned representatives of peripheral villages like Kinhi, Bhosa and Dolamba where there are water sources and finalize schemes to fetch water from those sources to cater to the needs of the citizens. 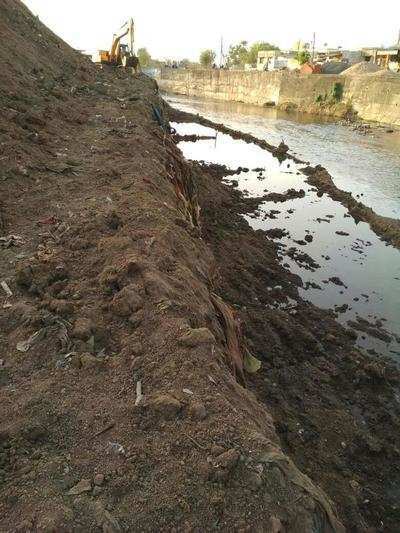 Residents of Yavatmal had been put through untold miseries arising out of non supply of drinking water and damaged roads that had been lying unattended for several weeks. The question of Bembla water too took a back foot as residents would have to fetch water from 25-30 km distance which would be impossible. The meeting was attended by divisional commissioner Piyush Singh, district collector Chandraakant Jaju, ZP CEO Jalaj Sharma, RDC Narendra Fulzele, executive engineer of MJP Ajay Bele, SDO of Yavatmal Swapnil Tangade, MC chief officer Anil Adhagale, executive engineer of MSEDCL Chitale, heads of various departments and officials from MIDC. However, deputy district guardian minister Sanjay Rathod was absent. Nagpur: The much-delayed waste-to-energy project of Nagpur Municipal Corporation (NMC) will be delayed further as the civic agency is waiting for chief minister Devendra Fadnavis to perform bhoomipujan. The concessionaire Nagpur Solid Waste Processing and Management Pvt Ltd (NSWPMPL) is unable to start construction of the waste-to-energy plant as the NMC is yet to give the green signal. A source in the NMC said that general body of the civic body had passed a resolution to hand over required land to the concessionaire way back in July 2017. The administration endorsed this proposal in November 2017. Now all formalities have been completed and the NMC is only waiting for CM’s presence for the function. The source further said that NMC had sought Fadnavis’s time on April 29, when he was in the city for the whole day. However, it could not get CM’s time for some reason. NMC executive engineer Aniruddha Chauganjkar denied that there was any delay in the project. 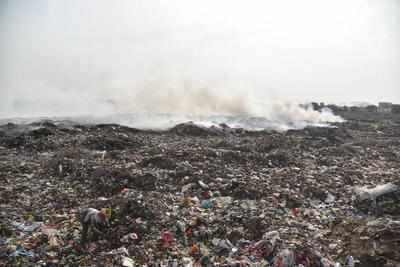 “Work on segregation of garbage has already started,” he said. He, however, parried queries on construction of the plant merely saying that the concessionaire had been given two years to complete the plant. The contract was awarded to NSWPMPL, a joint venture of Essel Infraprojects Limited and Hitachi Zosan India Private Ltd. The plant will process 800 tonne of waste every day. The generation capacity of the plant is 11.5 MW. The approved project cost is Rs 207 crore. NMC will give Rs 70 crore to NSWPMPL as viability gap funding (VGF) for execution under Swachh Bharat Mission. The civic agency will pay tipping charges of Rs 225 per tonne, which will increase by 4.5% every year. The concession period is 15 years out of which two years is for construction and 13 years is the tariff period — when NSWPMPL will sell power to state discom MSEDCL at the rate of Rs 7 per unit. NSWPMPL will also operate existing landfill site and develop two more, including their operation and maintenance for 15 years. This will ensure mitigation of fire incidents, foul smell, pollution in groundwater and air. Nagpur: Two days after TOI exposed how Nagpur Municipal Corporation’s (NMC) new administrative building lacks fire safety measures, more violations have come to fore at the complex. The civic body, which had started shifting various offices to the new, seven-storey headquarters, is yet to get the mandatory occupancy certificate too. Recently, NMC’s fire and emergency services department had inspected the Chhatrapati Shivaji administrative building, and found that fire safety norms have gone for a toss. Sources said the building construction was started in 2003, and the office of executive engineer had obtained no-objection certificates from the fire and emergency services department along with sanction of the map. When the Maharashtra Fire Prevention and Life Safety Measure Act (MFPLSMA), 2006, came into force, the then municipal commissioner Aseem Gupta had asked architect Virendra Khare to ensure the building too follows the new rules and regulations. Subsequently, two emergency staircases had been constructed. In January 2009, architect Khare submitted a letter to the civic body about completion of the building’s construction, sources in NMC’s town planning department said. In 2013, the then civic chief Shyam Wardhane had shifted his office, along with a few other officials, to the ground floor. At that time, the civic body had obtained part occupancy and part fire compliance certificates. The part occupancy certificate clearly mentioned that it was issued only for ground floor. The department had also mentioned that the applicant — NMC’s executive engineer — should take full occupancy certificate after completion of work at the new building. While obtaining the part occupancy certificate, the EE had also submitted an indemnity bond that it would procure OC for entire building later. Despite this, NMC has shifted many of its offices without even applying for occupancy certificate for the entire building. Sources said occupancy certificate is crucial as it is issued only after structural examination by engineers, which would ensure safety of the structure and also occupants. “Besides, the builder has to comply with all fire safety norms,” said sources. It is the duty of the town planning department to issue the certificate after compliance of fire safety norms. In this case, TP department and fire department have not issued occupancy and compliance certificates respectively. 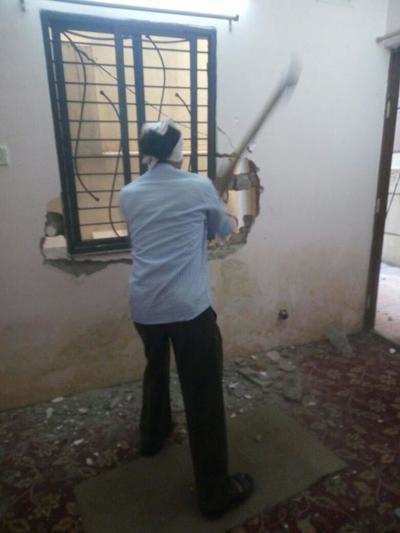 On May 9, under relevant sections of the Maharashtra Fire Prevention and Life Safety Measure Act (MFPLSMA), 2006, chief fire officer Rajendra Uchake had served three-hour notice to NMC executive engineer Sanjay Jaiswal, and inspected the administrative building. During inspection, the department pointed out various flaws in firefighting systems installed in the building. A senior official from the civic body said the process to procure occupancy certificate is underway. 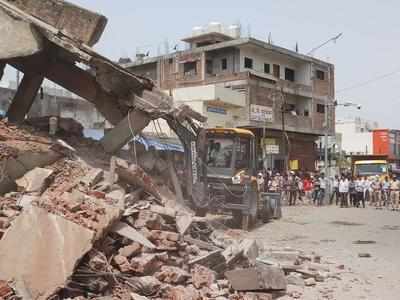 Nagpur: After a delay of over four years, the Nagpur Municipal Corporation (NMC) has demolished unauthorizedrooms constructed in parkingarea of a flat scheme at Maskasath under Satranjipura Zone in East Nagpur on Monday. The NMC in a press release said Tarmal Builders and Contractor was not removing the unauthorized constructions despite notices served since 2013. First notice was served under the Maharashtra Regional and Town Planning (MRTP) Act on November 19, 2013 followed by few more. The NMC enforcement department team demolished structures in around 220 sq.ft area. The enforcement department also carried out anti-encroachment drive near Daga hospital, between Mitha Neem dargah and Maharajbagh road, Nagpur University Building and Vasant Nagar slum, Manish Nagar and Beltarodi. Nagpur: Keeping in mind the increased cases of landslides and with a goal to mitigate its effects, the Geological Survey of India (GSI) and Gondwana Geological Society, Nagpur (GGS) jointly organized a daylong national workshop on ‘Recent trends in engineering geology and landslide studies’ at Auden Hall, GSI, on Monday. N Kutumba Rao, director general, GSI, IB Chibber, retired director, GSI, S Natesan, additional director general, GSI, central region, AK Chatterjee, vice-president, GGS, Nagpur, A Thiruvengadam, additional director general, policy support system, GSI and Milind Dhakate, director (G), GSI, central region, were the dignitaries who inaugurated the workshop. 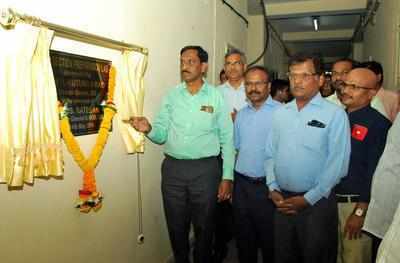 Rao also inaugurated a semi-automatic thin-section preparation lab during the event. “Slides can happen anywhere and sadly cannot be eliminated but can be treated, managed and stabilized for which detailed and well-planned study is needed,” Chibber said. He mentioned the importance of proper analysis on slide-ridden areas by competent people and of proper documentation. He expressed high expectations from the younger tech-savvy generation in the field of geology in years to come. Thiruvengadam and Chatterjee expressed concern regarding less experts in engineering geology due to frequent transfers of geologists from one domain to another. Rao encouraged the geologist community to unite and work towards their common mission. “Rather than charging for consultation, we must extend our services to earn our pride back,” he said. Further, two technical sessions took place wherein eminent geologists and geoscientists from around the nation such as K Jayabalan, deputy director general, GSI, central headquarters, Sanjiv Kumar, PK Gajbhiye, B Ajaya Kumar, MS Bodas and CD Singh detailed the delegates on subjects such as ‘Tackling adverse geological features during construction stage’, ‘Role of engineering geologist in nation building’, ‘Landslides in Maharashtra’, ‘An approach for landslide risk estimation on a macro scale’ and other. Every presentation and deliberation was supported with relatable case studies making the explanations easier to grasp. Nagpur: The BJP-led ruling alliance at the Nagpur Municipal Corporation (NMC) has failed to keep its promise of holding special meeting of the general body to solve the issue of contaminated drinking water supply. Water crisis also continues to plague the city. During the last general body meeting on April 20, corporators from all political parties, including BJP, raised the issue of contaminated water supply and crisis. Ruling party leader Sandip Joshi assured on the floor of the House to hold a special meeting to resolve the issue in May. Mayor Nanda Jichkar also assured the corporators raising the issue. But the special meeting has not been organized yet. Every month, regular meeting is organized on or before 20th. For holding the meeting, the agenda has to be issued seven days before. The date for issuing the agenda also passed away. Jichkar did not respond to TOI’s call. Opposition leader Tanaji Wanve said BJP was not at all serious about any problems of the city and is enjoying power. “Citizens are facing severe problems due to contaminated water supply and crisis for the last two months. The summer will come to an end next month. The ruling party should have taken the issues seriously this month itself,” he said. Wanve said the office-bearers neglected holding the meeting despite being reminded time and again since the beginning of the month. “There will be no meaning of directives issued in the general body if the meeting is held in the last week of May. Around 15 days are required to prepare minutes of the meeting and send them for implementation. Till then, the monsoon will arrive,” he said. Senior BJP corporator Satish Holey said water crisis has continued in his ward. “I pursued the problems with NMC and OCW officials after last month’s general body meeting. I had to suggest measures to solve the problems. Some issues were sorted out but a few remained as it is,” he said. Last month, Holey had said that Jichkar had no control over the administration. NAGPUR: After a city builder failed to appear before the Nagpur circuit bench of State Consumer Disputes Redressal Commission, a bailable warrant was issued against him, with directives to the cops, through the police commissioner, to arrest and produce him on June 12. A division bench comprising judicial member BA Shaikh and member JD Yengal also imposed cost of Rs15,000 on Gruhlaxmi Construction and Land Developers’ proprietor Suresh Burrewar, for repeated failure to comply with its directives passed last year. His property was also directed to be seized. The commission’s crackdown came while hearing complaints by Paresh Kukudkar, Milind Karmarkar and Gattu Chakravarthy, who had applied for residential units in the proposed Gruhlaxmi Towers project of Burrewar in Beltarodi region of city. The three complainants entered into different agreements with the builder for booking flats. While Karmarkar paid Rs2.75 lakh, Kukudkar and Chakravarthy paid Rs4 lakh each towards first instalment in 2011. As per the pact, payments were to be made in stages with the progress in construction. However, the builder failed to start construction for three years, after which the complainants, through counsel Arvind Waghmare, issued legal notice to him on October 20, 2014. When he failed to respond, they approached the forum, praying for Rs5 lakh compensation and Rs2 lakh for harassment along with Rs25,000 cash to each of them towards physical and mental harassment. The forum issued two notices to the builder, but they weren’t served at its address on Central Avenue. It then permitted the complainants to publish a public notice in the newspaper. After the developer failed to respond, the forum decided to proceed ex-parte against him on December 13, 2016, and slapped cost of Rs18.30 lakh for failure to construct the flat scheme. The firm was also told to pay Rs1.10 lakh more to each of the complainants for physical and mental harassment along with litigation costs. Additionally, the builder was also told to either provide flat to three complainants or refund their Rs10.75 lakh with 15% interest per annum. It was reported by TOI in its June 19 edition last year. However, Burrewar failed to comply with the court’s directives, which led to issuance of bailable warrant and orders to seize his properties. Nagpur: The work of flyover on Pardi Road will gain momentum after National Highways Authority of India (NHAI), along with Nagpur Improvement Trust, and Nagpur Municipal Corporation removed encroachments on Tuesday. The illegal structures were a major obstruction to the construction of the flyover, and needed to be demolished. In the process, the houses of Ganesh Mankar and 11 other individuals were razed. 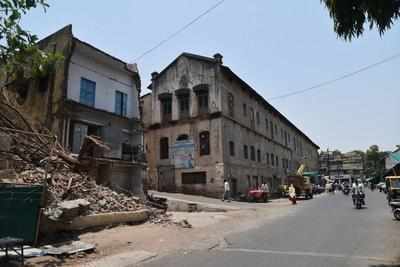 The houses belonged to Anand Kalash, Sushilabai Gerodia, Dillip Lalwani, Rashmi Chavre and others. To ensure peaceful anti-encroachment drive, 80 police personnel were deployed during the daylong drive. Similarly, NMCs enforcement squad removed illegal constructions in Dighori Square under Nehru Nagar zone. A similar action was carried out in Mahal area. Two truckloads of construction material dumped on footpaths were confiscated. These drives were conducted by assistant municipal commissioner Ashok Patil and enforcement inspector Sanjay Kamble.